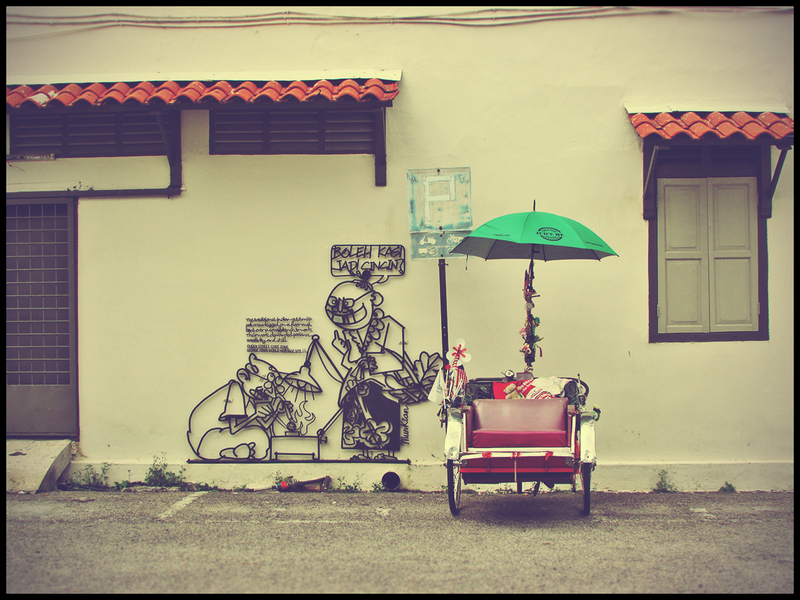 A trishaw resting by the side of Malay Street road in George Town. 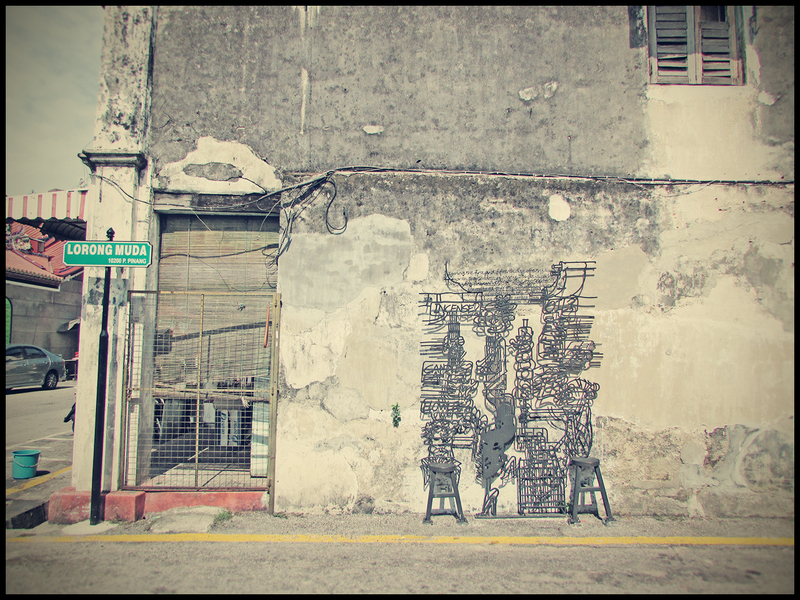 This steel rod art sculpture can be found beside the wall of a rattan shop in Chulia Street, George Town. The caricature depicts a mother buying a rattan cane while a boy was hiding behind the bush, for fear of the cane (or locally known as “rotan”). The rattan cane was commonly used as a ‘disciplinary tool’ back at home and in school during the old days. 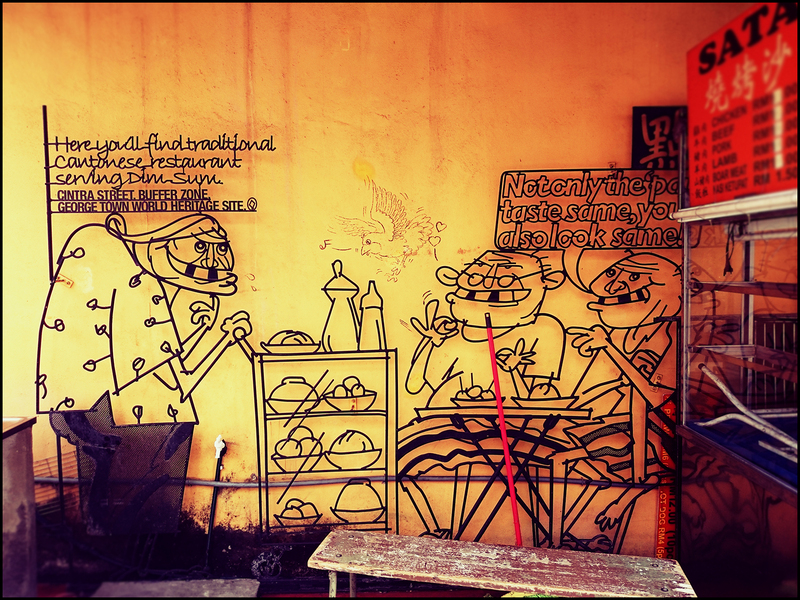 Lorong Muda and its “Joss Stick Maker” street art wall sculpture in George Town. 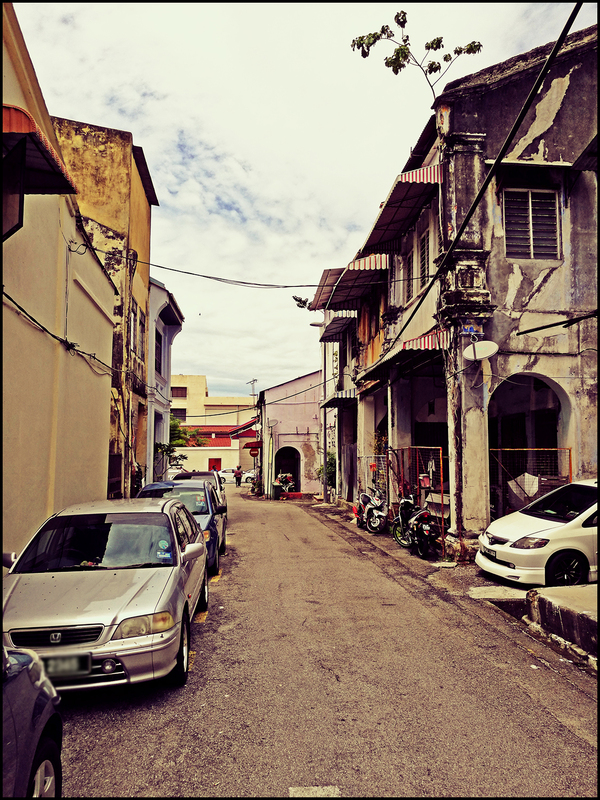 Lorong Muda (or Muda Lane in English) is a rather narrow lane that links both Stewart Lane and Market Lane. 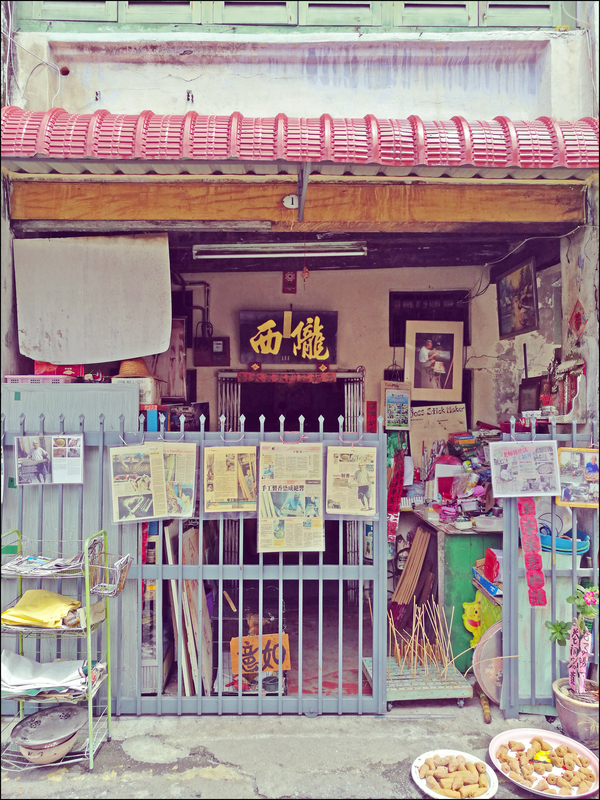 This little lane is famous for its traditional joss stick maker. 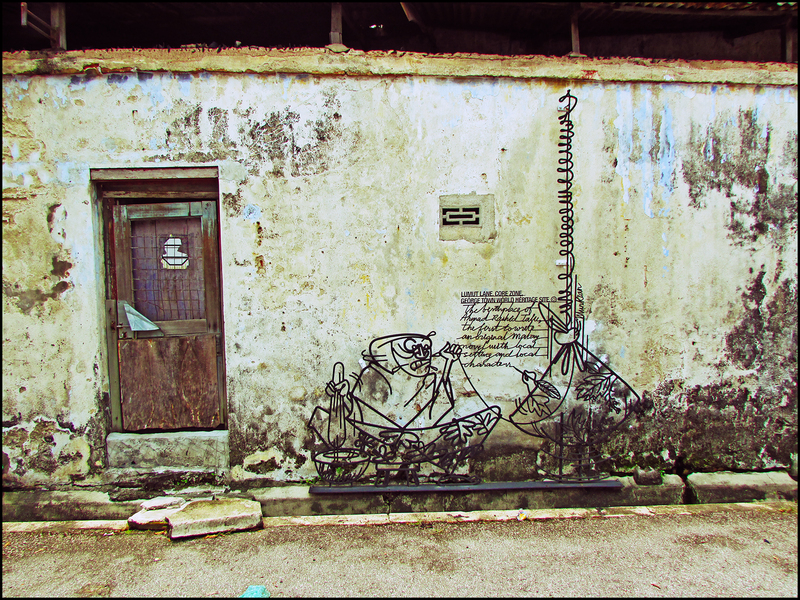 An art sculpture made of steel rods found at the back of an old shophouse’s wall at Lumut Lane, George Town. 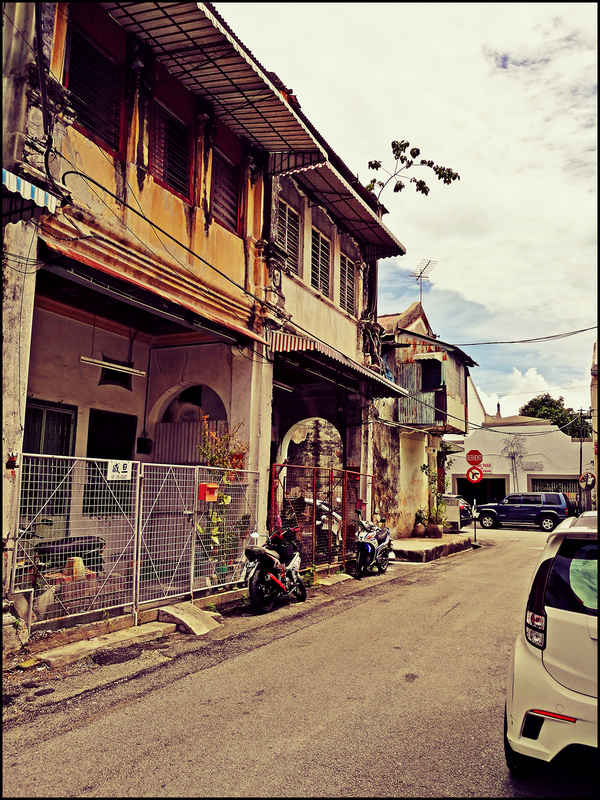 The sculpture’s caricature reveals that Lumut Lane is also the birthplace of novelist Ahmad Rashid Talu (born in 1889), who wrote the first Malay novel incorporating local settings and characters. Lorong Muda is a small lane off Stewart Lane and the area is popular for traditional joss sticks maker as depicted in this steel rod wall sculpture.